The opposition begins campaigning before elections whereas Modi is always campaigning. For some time now, we have been hearing that “Modi has begun his campaign…”. When Prime Minister Narendra Modi demonetised 86 per cent currency on the unforgettable date of 8 November 2016, a columnist wrote that this is the beginning of his 2019 re-election campaign. Some think Balakot was the beginning of his 2019 campaign, while some others feel it was his Madison Square Garden speech in 2014. It is difficult to remember a time before Modi when politicians campaigned only during elections. It is similarly difficult to remember a time when Modi was not campaigning. When is Modi not giving a speech, holding a rally, addressing a big event, coming up with new hashtags to dominate social media? Everything Modi does is a campaign. Starting with the United States, this has been a normal in many democracies. Modi has brought permanent campaigning to India. The logic is simple: keep winning the public opinion game every day. If you start sliding, it may not be easy to recover. It is inevitable that there are some things that will go wrong, and that there are some battles you will lose. Demonetisation will fail, GST will cause trouble, unemployment might rise, the economy may slow down. Who knows when oil prices may suddenly shoot up? There will always be things not under your control. By campaigning daily as if every day is an election day, Modi makes sure he appears to win more battles than he loses. “Governing with political approval requires a continuing political campaign,” a pollster wrote in a note for US President-elect Jimmy Carter in 1976. That’s how the idea of permanent campaigning started in the US. Soon this led to the idea of permanent election: the administration behaved as though an election was always around the corner. Modi campaigns as if an election is always around the corner – in fact, it is. Indian politics is a series of state elections leading to the general election. Every state election is seen, rightly or wrongly, as a referendum on Modi. Modi’s understanding of politics is that he has to grab people’s attention every day. Every single day one must feel Modi’s presence in the universe. If Modi has no good way of doing that, he’ll just post a video of himself doing mild exercise. 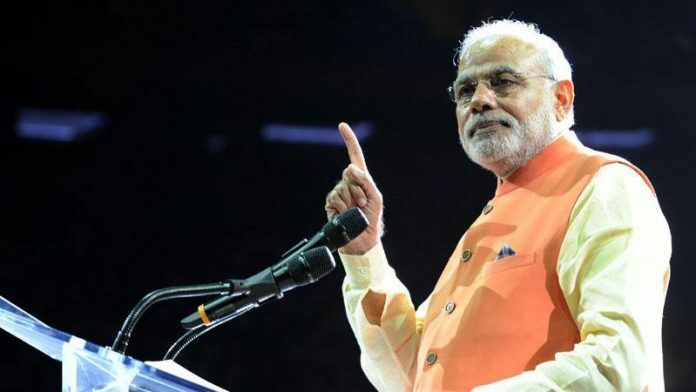 An analysis by The Wall Street Journal showed that mentions of Modi in English-language news in his first year as the Prime Minister were thrice than that of Manmohan Singh in his last year in office. Permanent campaigning is a trick. It has, of course, a damaging impact on governance. Running the country becomes an event management exercise. The immediate headlines matter more than long-term processes. For winning elections though, it works. One would have thought the opposition would have picked up this trick. It’s been five long years since Modi is trying to teach them the new rules of the game. Sadly, they haven’t, but for one exception. In Andhra Pradesh, Y.S. Jagan Mohan Reddy undertook a non-stop Praja Sankalpa Yatra for 341 days to build his party organisation on the ground, and change his image from that of a corrupt dynast to a mass leader in his own right. Only on Fridays he would halt his Yatra and go to Hyderabad for his weekly court appearance. It was political consultant Prashant Kishor who made him do this. Kishor, who was Modi’s campaign manager, understands what it takes for a politician to become a leader of the masses. Take the newest entrant in politics, Priyanka Gandhi. She recently went on a tour of east UP, sailing down the Ganga, for three days. For those three days, she made a lot of buzz on TV. And then, she disappeared. God knows when we’ll again see her on TV every day. Her brother Rahul Gandhi often disappears for days and weeks from public consciousness. Voters often complain they never get to ‘see’ their MP or MLA. Mayawati’s Bahujan Samaj Party in Uttar Pradesh thinks elections are won through caste arithmetic alone. The campaign is limited to a few big rallies before elections. Many top Congress leaders went back to their non-political careers after losing the 2014 election. Twitter has given opposition leaders an easy escape route. They think they can just keep tweeting against the government and the job is done. Now, it’s the pro-Modi media’s fault that they don’t pick up their earth-shattering tweets and turn them into headlines. Not too long ago, the same opposition used to mock social media. The idea that one needs to be a 24×7 politician is derided by sanctimonious liberals who defend Rahul Gandhi’s frequent holidays by giving lessons on work-life balance. In the world’s hardest working country, only our opposition leaders care so much about work-life balance. They may continue to do so, but if they can’t catch up with Modi’s permanent campaign, they won’t defeat him anytime soon. It’s like Modi has a weapon, which you don’t. You may upgrade your ammunition or see your political career perish. If a second – and then a third – term is won, it could become a template for others to adopt. The finest stars in Bollywood instinctively understand they must not do too many films, even make too many sponsored appearances, for that matter. I don’t read newspapers in print form, so cannot judge the utility / impact of all these full page ads that are being inserted, the thousands of crores being spent on government advertising. The distinction between governance and politics is blurring, the recent statement of NITI’s head being an instance. Sometimes one gets an odd feeling listening to the service chiefs talk. We are moving into uncharted waters, with little of note to show for it. May be for BJP to become one party, one PM etc, they want kill every party in various states as they claim that Congress is already dead party, India may opt for two PM. One can be designated as CPM which stands for Campaign Prime Minister whose work would be only Prachar and other can be just PM who can really work as such so that Pathankot Uri, Pulwama kind of attacks can be prevented instead of claiming credit for counter attack by armed forces as BJP knows that prevention doesn’t get the kind of mileage when Armed forces are used to attack Pakistan. Political campaigning, like global diplomacy, consumes a lot of time. Governance / development places its own demands and there are really no more than twelve hours in a day, for even the most hardworking individual. It comes down to a question of priorities.